We are pleased to present below all posts tagged as "prize". We know that our customers love to show off their knits or their crochet projects – and quite rightly too, you clever bunch – which is why we decided to reward one of you every single month. 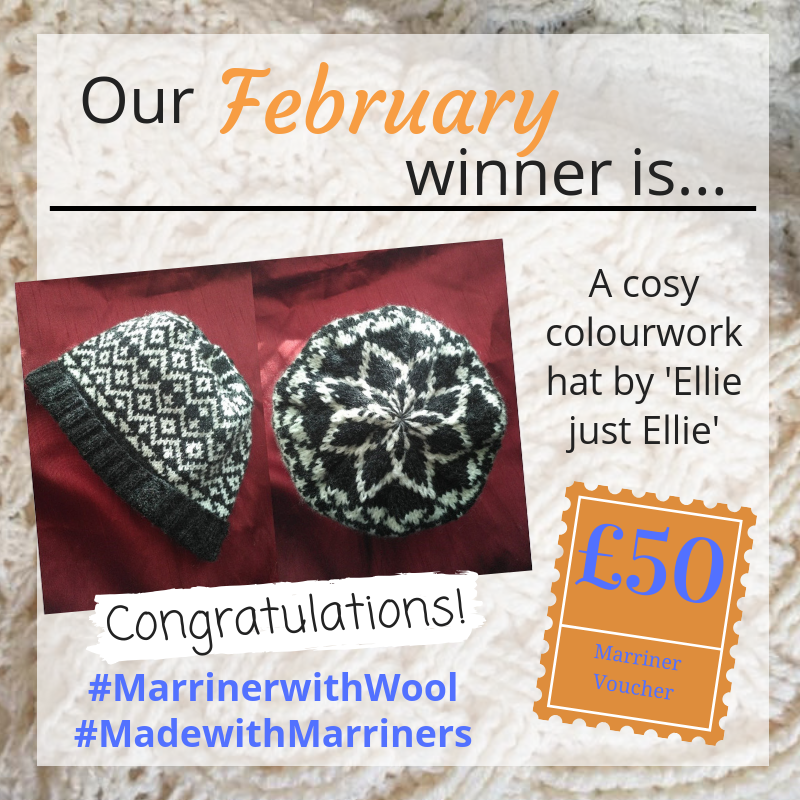 Each month you can share your projects with us on social media for entry into our prize draw and the chance to win a £50 voucher to spend on MarrinerYarns.com. Still in the full flow of winter, we saw some seriously cold snaps – and even a fair bit of snow – in February. The days are still a bit dark and there’s no nicer feeling than snuggling up with something cosier in the cold winter months. That is why we asked to see all of your extra cosy makes that you have made with one of our wool blend yarns to keep you extra warm! Fancy seeing your Christmas design featured on Marriner Yarns? There is nothing like getting on with some Christmas crafting to get you in the festive spirit – we can imagine that you are all planning your autumn and winter projects already. September saw the arrival of our favourite season, and while we still seem to be seeing a bit of an Indian summer, there is definitely that distinctive autumn chill in the air…. 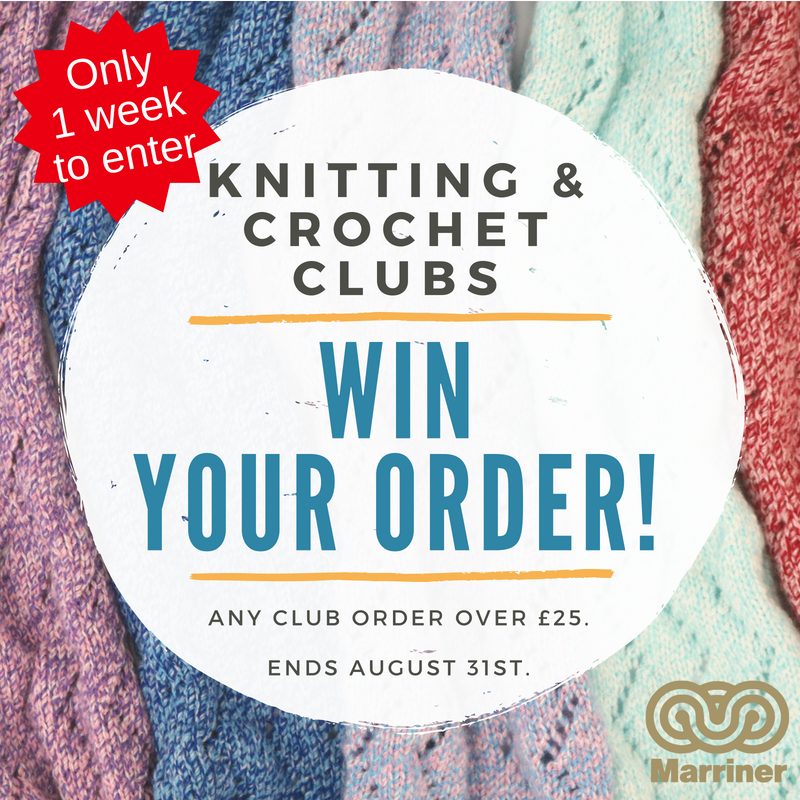 There are only 1 week left to enter our prize draw for one lucky knitting or crochet club to win back the value of their entire order. With autumn fast approaching (how did that sneak up on us?!) it’s the perfect time to start thinking about what your group could be knitting or crocheting in the months to come and what yarn you might need to top up your stash.